I have just completed some fairly significant enhancements to Jasperoo. 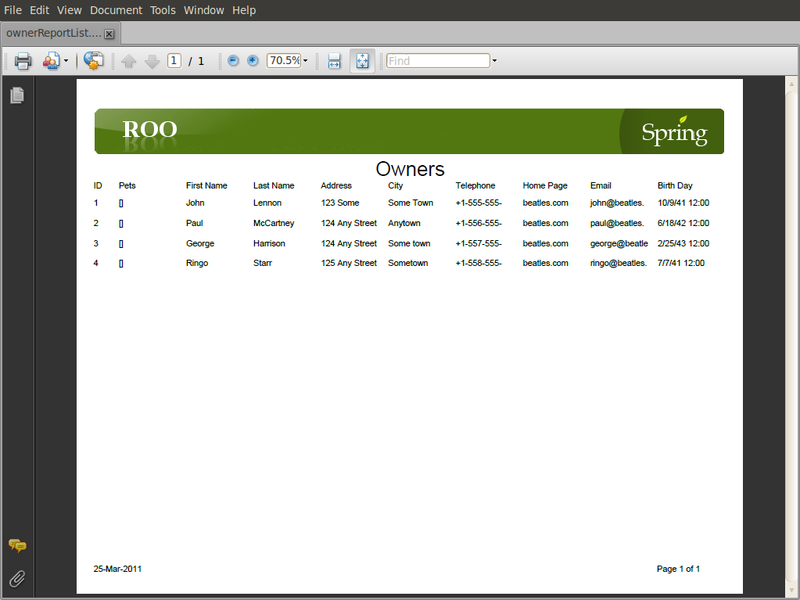 It's starting to look like a pretty solid addon for Spring Roo. As far as I can tell, your Roo projects can now benefit from the power of Jasper Reports. I've introduced "Detail" reports. 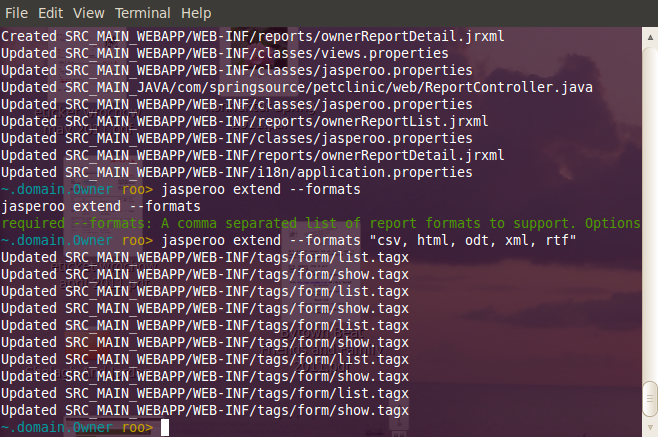 These reports provide the contents of all the fields of a specific entity instance, all on one page. I've abandoned the idea of a menu entry for each report. 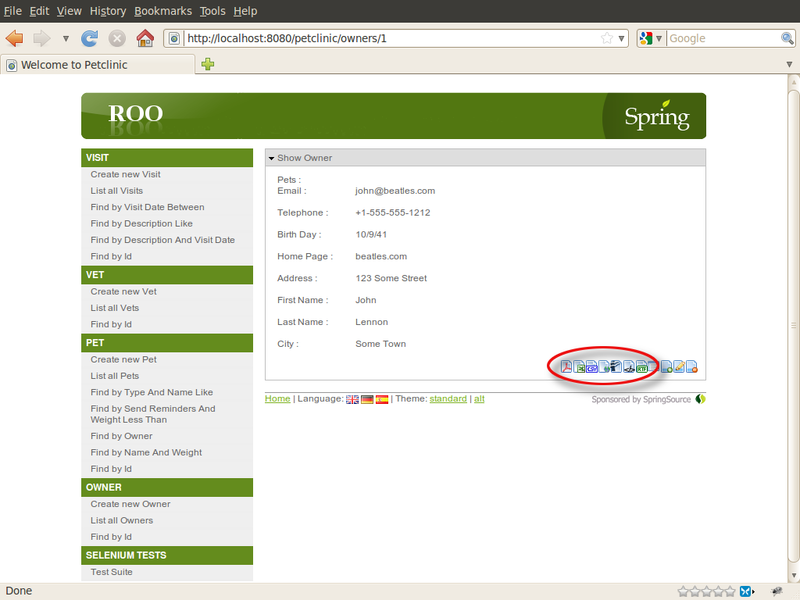 The reports are now accessed through icons on the "List" and "Show" page for each entity that has been added to Roo. I've simplified the process of adding additional report formats. Previously, you had to choose which formats you wanted when you called "setup". 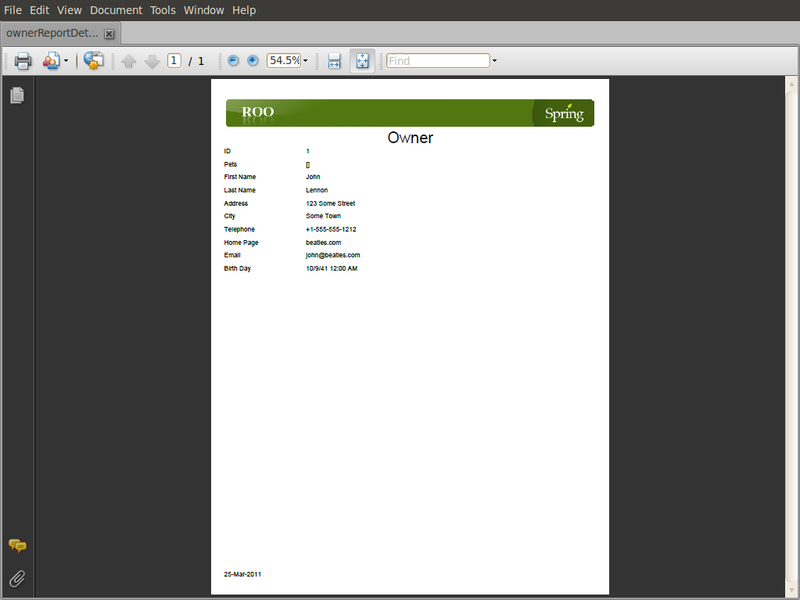 With the addition of the "extend" method, you can now add support for other formats after setup. I have spent a fair bit of time documenting jasperoo. Please check out the jasperoo project site at jasperoo.digitalface.ca, and click on API and How-To from the left-side navigation. Many thanks for the feedback already received, I look forward to hearing more. Here are some screen shots to whet your appetite. 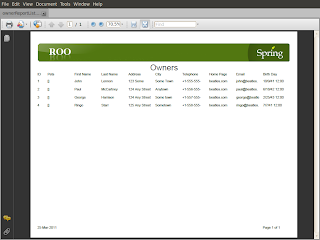 A "show" screen with the report icons highlighted. 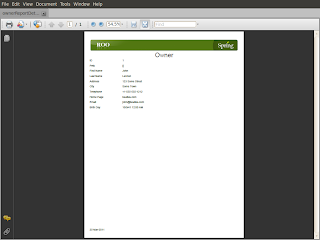 A "list" screen with the report icons highlighted. The "extend" command in use. 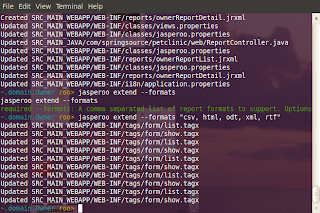 I created petclinic with jasperreports, but I have a problem: reports doesn't compile. Do You have any idea? I would be happy to help you out, but your message doesn't give me much to go on. Just a follow-up for the public record. The problem that Witold reported was actually the result of trying to compile the Jasperoo generated reports in iReport. iReport does not know where to go to get a dataset (without being told). 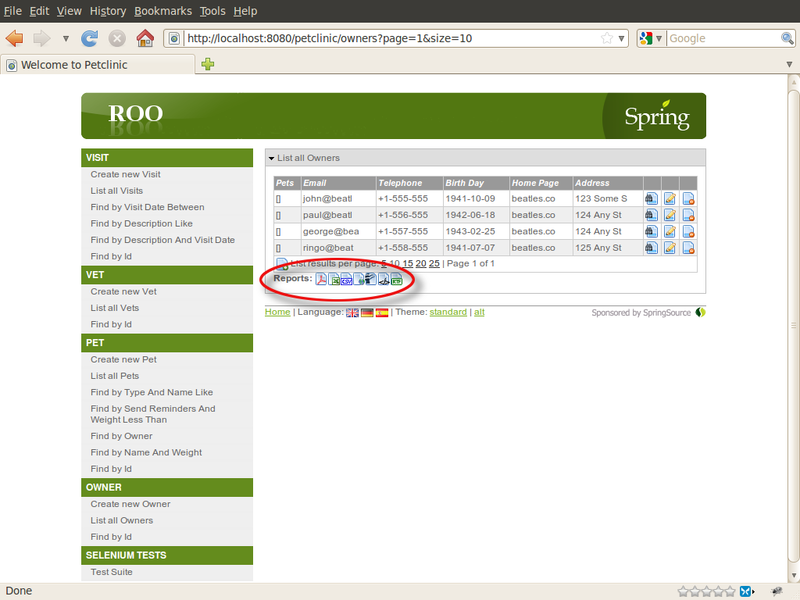 Though I haven't tested this yet myself, I would expect that if the petclinic application was changed so that it doesn't use an in-memory database, and iReport was configured to use that datasource, and given the query that jasperoo gets from the finder method employed, it would be able to compile the report. Again, iReport is a great tool for configuring the layout of a report, but if you want to test your changes, it will need a dataset from which to work. Thank you Witold, for taking the time to try this out and providing me with the details of your problem. I will update the project site with this additional information shortly. I hope that it works for you.